Happy Birthday, M. E. Kerr!!! 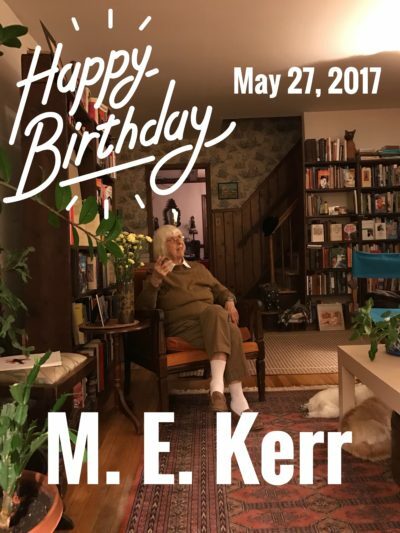 Welcome › Forums › M. E. Kerr & Other Topics › Happy Birthday, M. E. Kerr!!! This topic contains 0 replies, has 1 voice, and was last updated by Michelle Koh 1 year, 10 months ago. It’s that time of year to celebrate Marijane Meaker’s birthday! Here is M. E. Kerr holding court on her living room last month (April 2017).